Maryville Academy of the Sacred Heart founded in 1872, achieved the University status in June 1991. Today the University offers 90+ degree programs in various disciplines for undergraduate, master’s and doctorate students in US and 47 countries worldwide. If you are all set to apply for undergraduate program in any discipline from international country, read on to know the Maryville university admissions requirements herein alongside some troubleshooting tips helpful for accessing the canvas students’ online account. *Students must pay $30 non-refundable fee for application processing if they submit their application in paper version. **It is mandatory for the international students to submit English proficiency test scores. ****The financial support documents are not necessary for the admission but for I-20 issuance essential for the visa interview. Students must visit the international section of the Maryville University’s website to fill in the Confirmation of Financial Resources and Affidavit of Support form. The candidates must attach certified bank statements for the past 6 months with this form. St. Louis, MO 63141 U.S.A. Note: Students applying for scholarships must also submit the SAT/ ACT scores for evaluation. The international students unable to travel and stay in US for full-time in-campus degree programs can take admission at the Maryville University’s online education platform to obtain accredited degree and certification of the same value. Besides on-campus degree programs, the University also offers online education in 38 areas of interest for undergraduate to doctorate level students worldwide. To learn more about the online degree programs, you may download the brochure at the University’s official website. Once you are done with the above steps, follow the instructions on the screen to complete the email account set up. If you are having problems with your Maryville University email login, contact the student support for assistance. Provide your student ID number for all correspondences to resolve the issue quickly. For more details on email support for students, visit http://live.maryville.edu/. 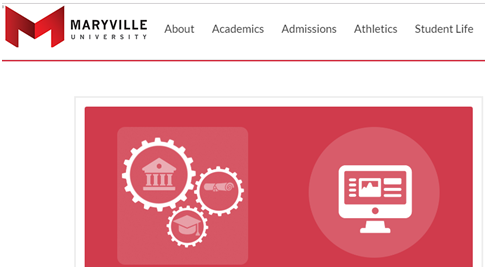 Read on to know the Maryville university admissions requirements herein alongside some troubleshooting tips, the international students have to submit their application form online/offline.